All of the types of medication in question are drugs that have an "anticholinergic" effect. All medicines can have side-effects and anticholinergic-type drugs that block a neurotransmitter called acetylcholine are no exception. Patient information leaflets accompanying such drugs warn of the possibility of reduced attention span and memory problems as well as a dry mouth. Dr Gray says some of the study participants have agreed to have an autopsy after their death. "We will look at the brain pathology and see if we can find a biological mechanism that might explain our results." 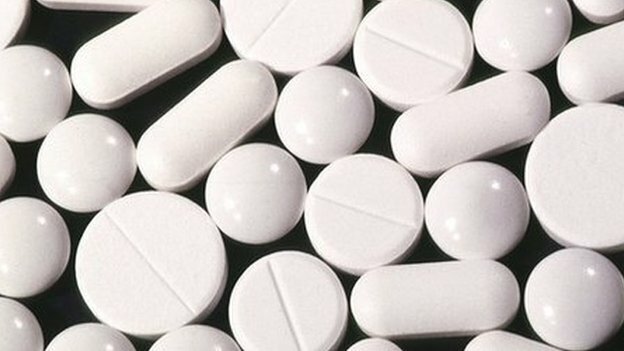 Dr Simon Ridley, head of research at Alzheimer's Research UK, said the study was interesting but not definitive - there was, he said, no evidence that these drugs cause dementia. Dr Doug Brown, from the UK's Alzheimer's Society, said: "There have been concerns that regular use by older people of certain medications with anticholinergic effects, such as sleep aids and hay-fever treatments, can increase the risk of dementia in certain circumstances, which this study supports. "However, it is still unclear whether this is the case and if so, whether the effects seen are a result of long-term use or several episodes of short-term use. More robust research is needed to understand what the potential dangers are, and if some drugs are more likely to have this effect than others. "We would encourage doctors and pharmacists to be aware of this potential link and would advise anyone concerned about this to speak to their GP before stopping any medication." He said the charity was funding more research in this area to better understand any connections between these and other drugs on the development of dementia. The Medicines and Healthcare Products Regulatory Agency, which monitors the safety of medicines in clinical use in the UK, said it would review any new evidence.